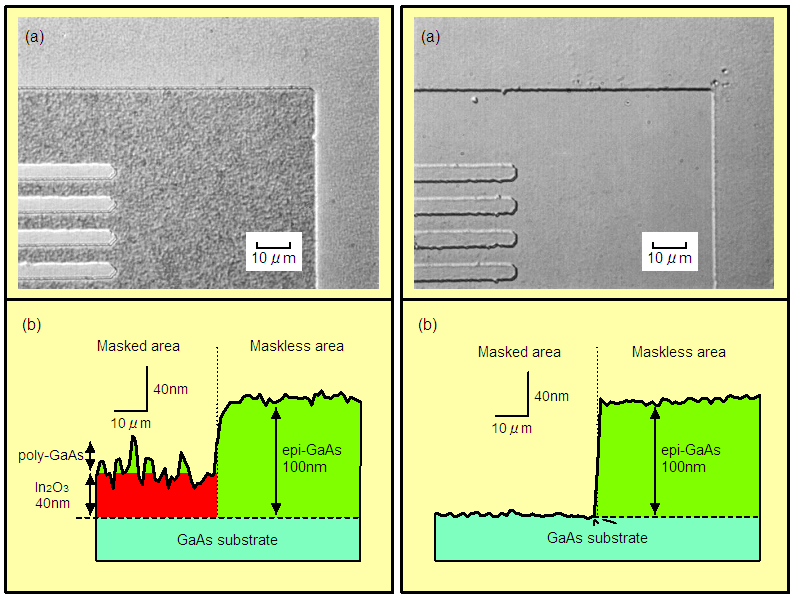 We investigated the selective epitaxy of GaAs with in-situ In2O3 mask process with CBE using TEGa, TMIn, and AsH3. In2O3 film was formed on GaAs with alternative supply of TMIn and H2O2. 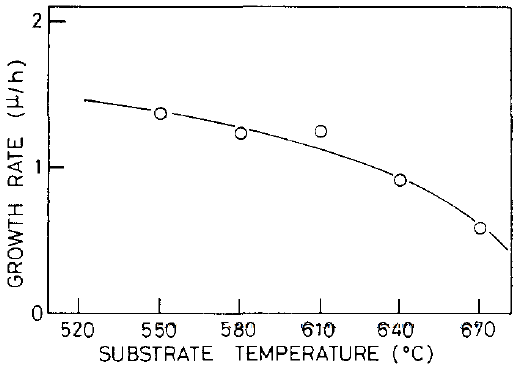 Temperature dependence revealed that GaAs etching with H2O2 proceeds above 500oC. 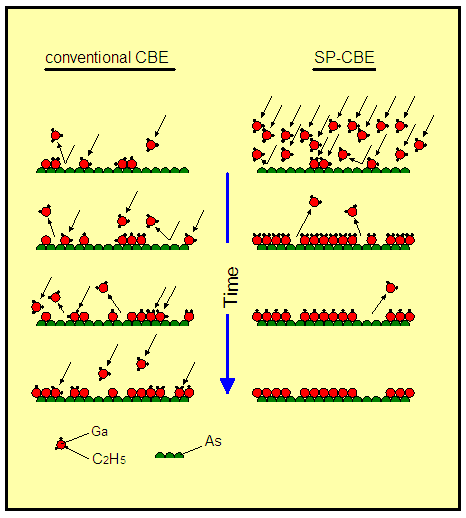 Selective epitaxy of GaAs on a patterned mask of In2O3 was successively achieved with CBE. Ga atoms produced on In2O3 mask are absorbed in the mask, leading to a new mechanism of deposition suppression. 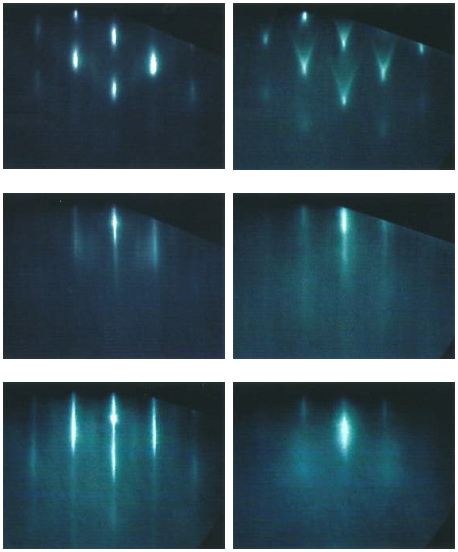 The In2O3:Ga mask film can be removed in-situ by hydrogen plasma irradiation. We have examined in-situ patterning of In2O3 film by EB-induced surface reaction, but unfortunately it was not successful due to EB machine issues. 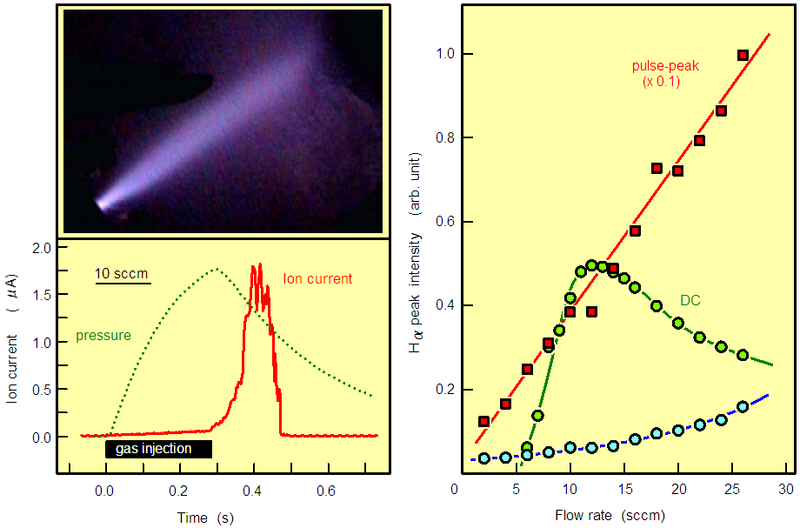 We developed a new scheme to produce high-peak plasma pulses, suitable to modify the surface condition in-situ during CBE growth of semiconductors. 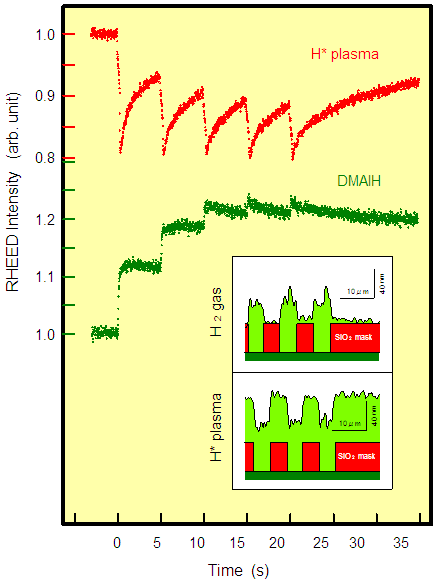 When hydrogen gas was injected into a small-volume discharge cavity to produce microwave-excited ECR plasma, a high-peak plasma pulse was generated at the timing of gas injection termination. 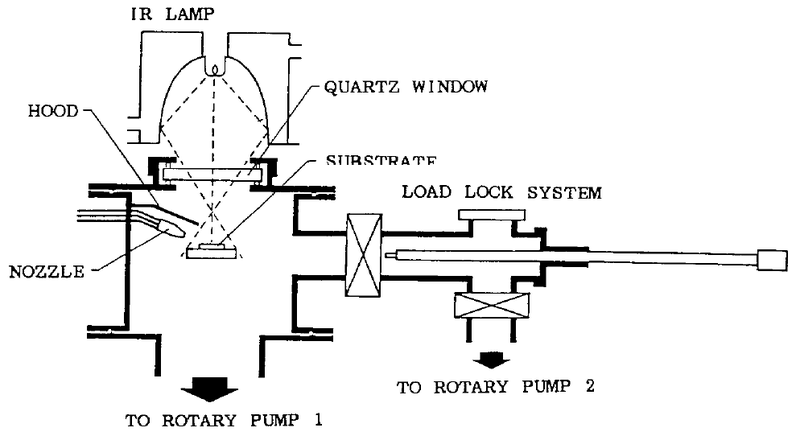 The mechanism is suppression of plasma-neutral collisions, which leads to improve the plasma-microwave coupling. A new concept of short-pulse CBE has been proposed, in which elemental surface reactions are resolved by time by supplying source gases as short pulses alternatively, and a time-resolved surface reaction is specifically enhanced by synchronized plasma pulses. We found that strain-induced self-organized InGaAs/GaAs QDs can be flatten in-situ by supplying phosphorus instead of arsenic on the surfaces at 480oC. The transition is reversible, so that QDs are reconstructed when phosphorus is switched back to arsenic. This reveals that the InGaAs QDs are in equilibrium against the ambient arsenic/phosphorus pressure at higher temperatures. We investigated carrier confinement in various structures between full QDs and a flattened layer by capping them by GaAs layer to freeze the structures. 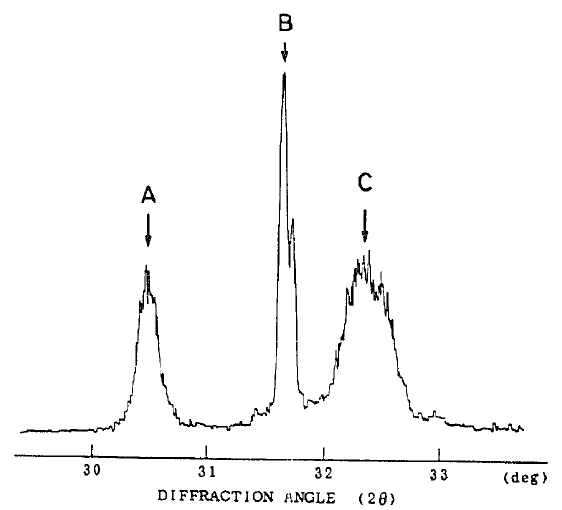 Quasi-0D confinement was evidenced by the temperature dependence of photoluminescence of the structures. 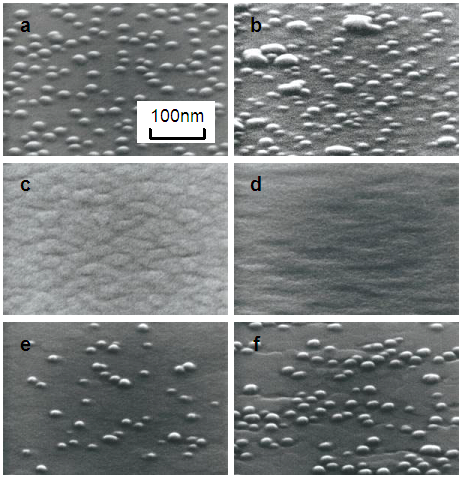 The growth mechanisms of MOMBE of InGaP on GaAs(001) substrates was investigated, together with misfit strain effects. 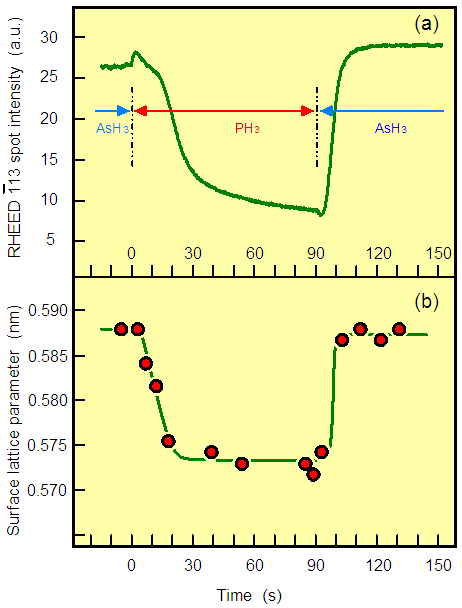 (1) In-rich growth below 390oC, group-III flux-limited growth for 390-520oC, Ga-rich phosphorus desorption above 520oC. 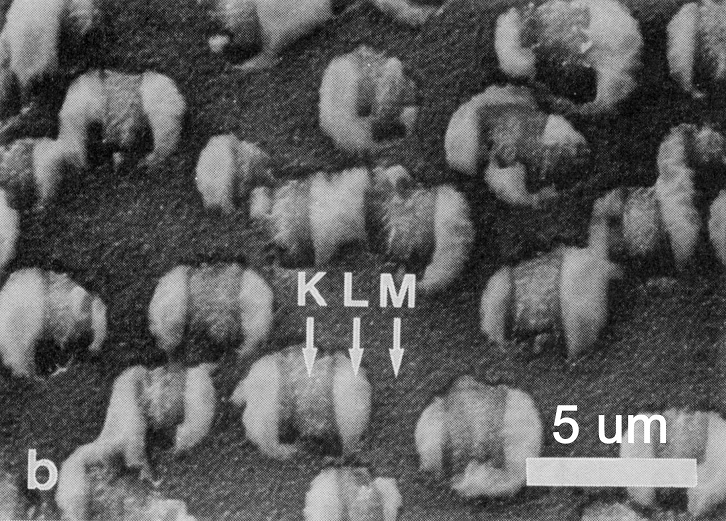 (2) Self-organized complex crystallites of InP partially surrounded by In metal were formed above 520oC. 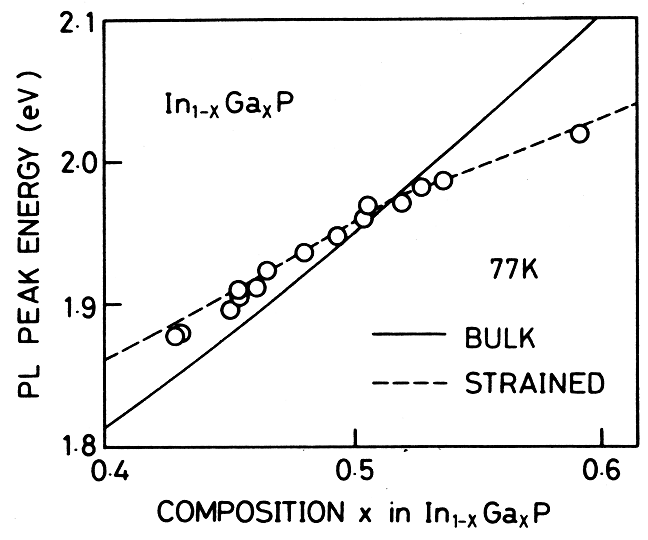 (3) Elastic accommodation of misfit strain was observed for Ga-composition of 0.42-0.59. 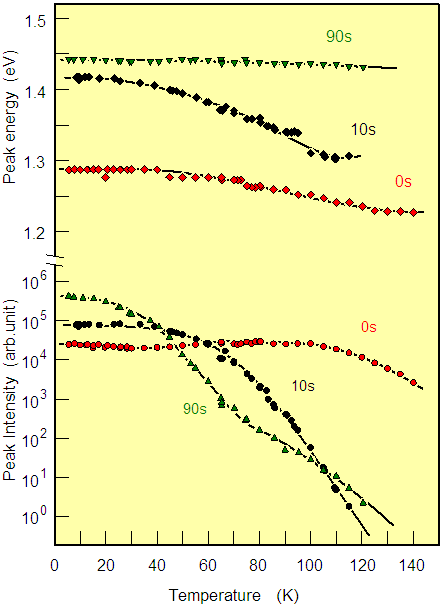 (4) Energy band gap shift and electron mobility are not sensitive to dislocations generated by relaxation of misfit strain. 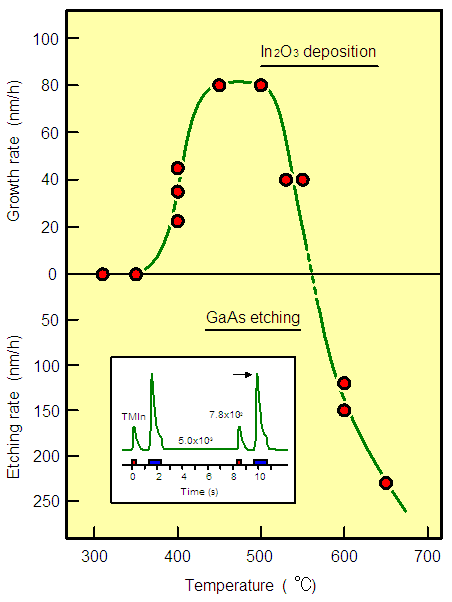 For low-pressure (0.03 Torr) MOCVD growth of InGaP on GaAs(001) substrates, we obtained the following results. (1) Single crystals of InGaP can be obtained above 670oC. (2) Growth rate is limited by the supply of metalorganic sources. 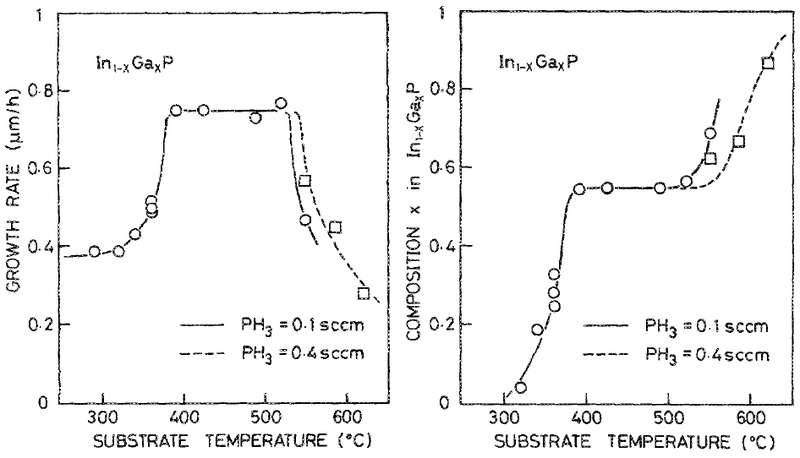 (3) Ga-element is taken into the grown layer more effectively than In-element. 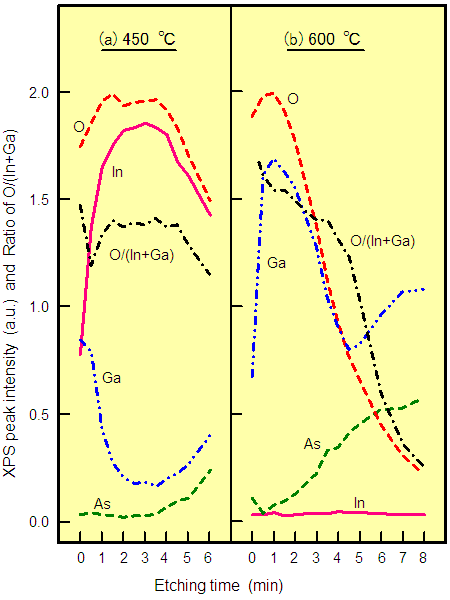 (4) Below 620oC, immisible InGaP growth (In-rich crystallites in Ga-rich layer) was resulted.